A business conference, an autograph session, a seminar – the organization of any event begins with finding a location. Hotel “Edem” offers a rental of a conference room for different events. In particular, we offer assistance in organizing business meetings, presentations, negotiations, etc. For guests, who book more than 10 rooms, the conference room is free of charge upon prior arrangement at a specified time. If necessary, the room can be fully obscured or extra lighted. The conference room accommodates 30 people at the same time and is located on the ground floor of Edem hotel, in the city’s downtown. From the hotel you can quickly reach both the train station and other parts of Lviv. The interior is made in classical style, so it will be suitable for official meetings. Regardless of the time you want to rent the room, the staff will take care of your comfort during the workshop. 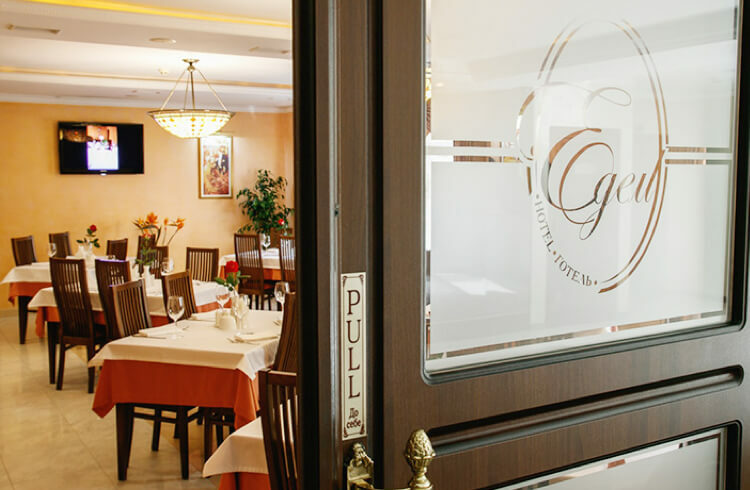 In addition, our chefs will help to make a special menu, taking into account the individual wishes of the guests. So you can easily have a coffee break or have a tasty lunch. For our guests, we offer free parking on site,which is guarded 24 hours a day. 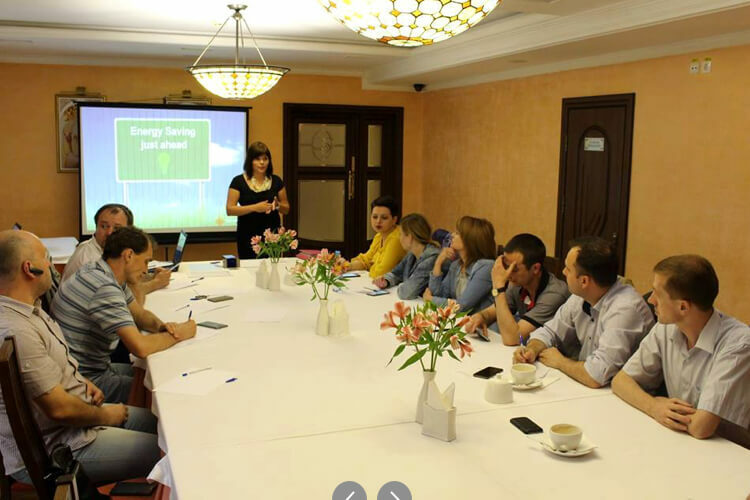 The price of renting a conference room at Edem hotel is from 250 UAH per hour. To find out if the room is free on the desired date, call us (contacts are listed on the site).